I would like to introduce the following cuisines and restaurants in Osaka, which you may feel funny. Bits of octopus inside fried dumplings. Takoyaki is best eaten from street vendors' carts, which can be found all over the major districts around nightfall. As you compare the surface with Okonomiyaki, The taste of source is similar to Okonomiyaki. Udon are a type of thick Japanese noodle, and kitsune is a piece of sweet deep fried bean curd. The combination of the two in a bonito and kelp broth is delicious. The taste of soup is a quite different from the one in Tokyo. 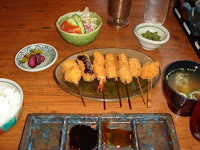 Kushikatsu can be made with chicken, pork, seafood, and/or seasonal vegetables. These are skewered on bamboo kushi and deep-fried in vegetable oil. They may be served straight, or with sauce. 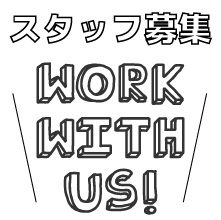 Many office worker in Osaka drink a beer with Kushikatsu. 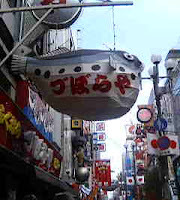 A fugu restaurant with a huge blowfish lantern hanging out front located in Dotonbori. They serve Tecchiri and Tessa. Tecchiri is a pot of blowfish and vegetables, and Tessa is raw blowfish. Both very delicious, the quantity of blowfish consumed in Osaka Prefecture is greater than any other prefecture in Japan. A crab restaurant in Dotonbori, easily identified by its giant moving crab billboard. 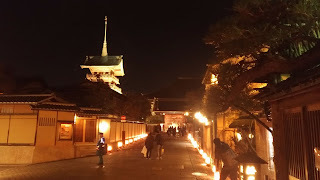 One of the most famous landmarks of Osaka. 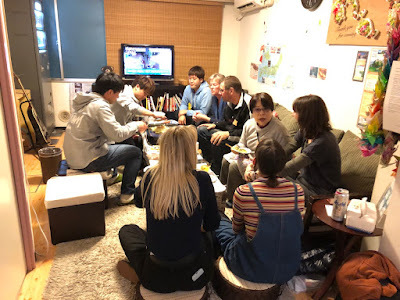 Dishes range are crab-suki, crab-chiri (a kind of crab sukiyaki), and fried crab dishes to crab croquette, roasted crab with salt, crab salad, crab sushi, and boiled king crab.